By law, customers in the European Union also have the right to cancel the purchase of an item within 14 days beginning from the day you receive the goods. If you wish to cancel your order then you must inform us in writing via letter or e-mail to [email protected] within the 14 day period, unfortunately we are unable to accept cancellations by phone. You will be responsible for returning the goods to us at your own expense without undue delay and in any event not later than 14 days from the day on which you communicated your cancellation with us. If we arrange collection of the goods, this charge will be £10 per parcel. You must ensure that the goods are adequately packaged to protect against damage and are still in a saleable condition. If you fail to take reasonable care of the goods before they are returned to us resulting in any damage or deterioration, we will charge you for the reduction in value. On receipt of Goods we will make reimbursement using the same means of payment as you used for the initial transaction. 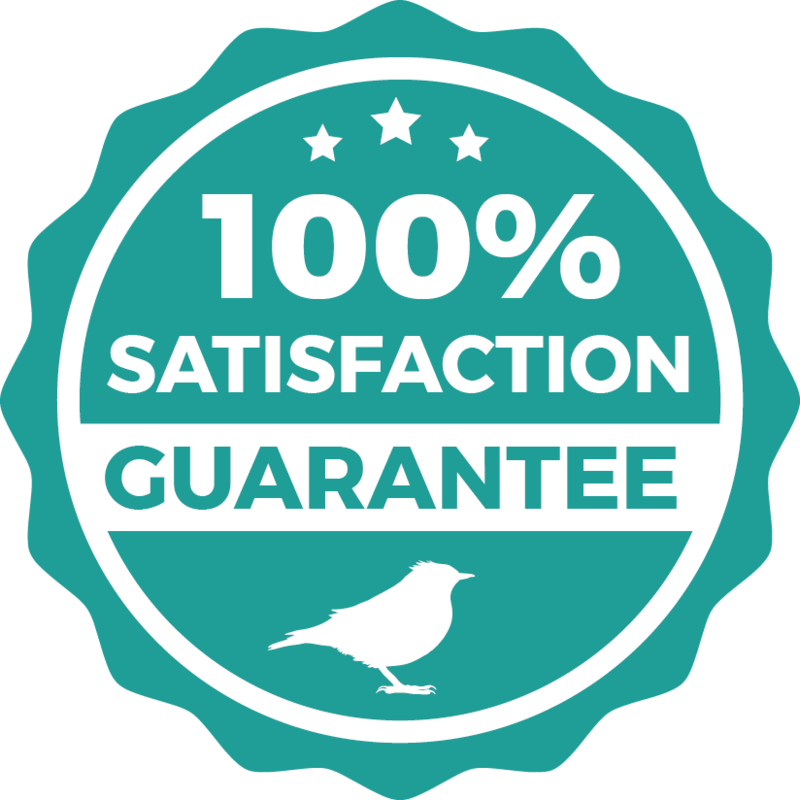 Love Garden Birds makes every effort to ensure that you receive your goods in perfect condition and good working order, however in small number of cases this is may not be the case. If you do unfortunately receive your good(s) in a faulty or damaged condition you have the right under European Union Consumer Rights Directive to return your goods up to 30 days starting from the day after you received the goods. Please contact us prior to the end of the 30 day period via letter, e-mail at [email protected] or ring customer service on 0845 200 5377 Monday to Friday 9am to 5pm. To resolve the issue quickly and identify product/packaging issues, we may ask for photographs of the damage. We will organise collection of the faulty or damaged good(s) at a convenient date and location for yourself. In the event that we determine that the goods are not faulty then we would need to make a charge of £7.50. In the event you select the incorrect delivery address, we will do everything we can to help redirect your parcel. However any additional delivery costs will be passed to the customer. In the event you decide to reject your delivery and the parcel is returned to us then we will make a deduction of £10 per parcel to cover carrier return costs prior to actioning your refund.